A good sample is critical for successful diagnosis. Recently, seedlings were received at OSU’s C. Wayne Ellett Plant and Pest Diagnostic Clinic. Diagnosticians often examine poorly packaged samples which arrive in poor condition. 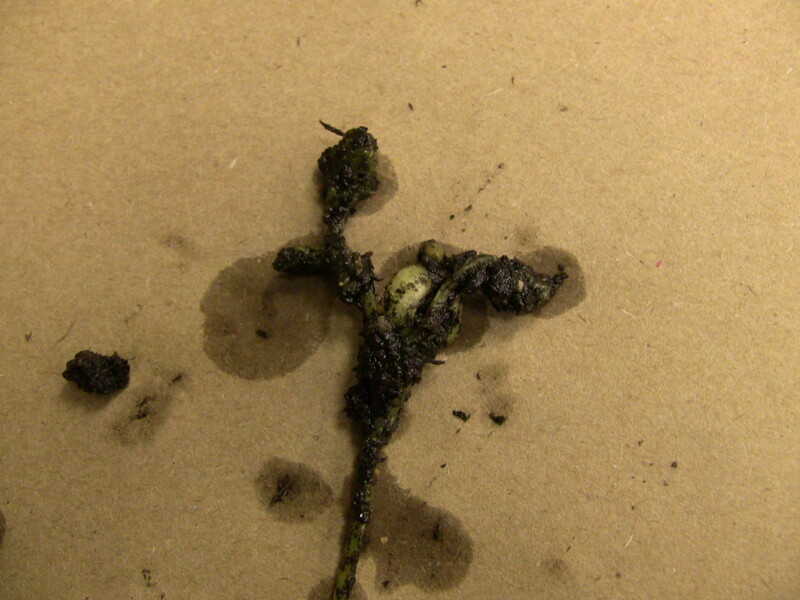 Seedling samples are challenging to package and ship; they deteriorate rapidly. Send the entire tray if they are being produced as plugs or cut out a portion of the tray to allow samples to arrive in the best condition. If plugs are being removed from the tray wrap the roots and associated media in foil or plastic wrap to keep the media on the roots and sustain the plants in transit. Wrap roots and media in plastic wrap or foil to keep media on the roots,. Leave the tops of the plants uncovered and DO NOT add water to the package! Make sure you include information about the history of the plants, what fertilizers or other treatments have been used, when they were used and at what rates. Well packaged seedlings arrive in good condition and clearly show the symptoms of concern.